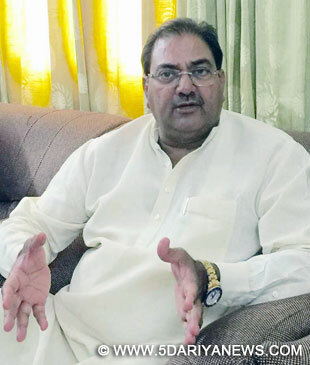 Scam-tainted former Indian Olympic Association (IOA) chief Abhay Chautala declared on Thursday that he will turn down the honorary post of Life President of the Indian Olympic Association (IOA) only if told to do so by the International Olympic Committee. "I will leave my position in IOA if IOC gives ruling against my holding the honorary post. President, IOA is likely to take it up soon with IOC," Chautala tweeted.Chautala, who headed the now defunct Indian Amateur Boxing Federation (IABF) and former IOA chief Suresh Kalmadi were named Life Presidents of the Indian Olympic Association on Tuesday, which led to a huge uproar.The Union Sports Ministry threatened to issue a show cause notice and to sever ties with the IOA if the decision was not revoked.Former Sports Minister Ajay Maken and International Hockey Federation (FIH) President Narinder Batra also criticised the IOA's decision on Wednesday.Hockey India (HI) also slammed current IOA President N. Ramachandran in a letter on Thursday. "Hockey India is opposed to the resolution which was passed in haste as last item in 'any other item' within half minute and without any discussion by nominating Mr Suresh Kalmadi and Mr Abhay Singh Chautala as Life President of IOA, and the meeting was declared closed after that," HI President Mariamma Koshy said in the letter. "Kindly put the three votes of Hockey India as opposed to the resolution in which Mr Suresh Kalmadi and Mr Abhay Singh Chautala were appointed as the Life President of IOA. "IN the face of the controversy, Kalmadi turned down the post on Wednesday, but Chautala decided to put up a show of defiance.The Haryana politician also released a detailed statement claiming that Indian boxing flourished during his tenure at the helm and tried to defend his position. "I have served Indian Sports selflessly for more than 25 years and have made my humble contribution towards promotion of Indian Sports, especially boxing. I am pleased that Haryana state where our government initiated many programes to encourage sportspersons is now in the forefront of Olympic movement in India," Chautala said. "We have very fond memories of Vijender Singh becoming the first bronze medallist in boxing in 2008 in Beijing Olympics when I was president of IABF. I was also pleased that Mary Kom being a female athlete won bronze medal in 2012 London Olympics." "Indian boxers brought laurel by winning (medals) in all 10 weight categories, including six golds in CWG 2010. Indian boxers constantly won back to back medals in almost all of the major multi-disciplinary Games and international boxing championships, including medals won by legendary boxer Mary Kom, L. Sarita Devi, Sarju Bala, Vijender Singh, Suranjoy Singh, Devendro Singh, Manoj Kumar and all others during my tenure as IABF President," Chautala said in the statement. "I have always served sports selflessly and will do everything for promotion of sportspersons and sports. Although I was elected president unanimously of IOA in 2012, I decided to sacrifice this position in 2013 when vested interests from within India were able to influence an amendment to IOA constitution. On account of this amendment, I decided to relinquish the post of President IOA in the best interest of Indian sports. "Chautala, who had threatened to take legal action against Sports Minister Vijay Goel on Wednesday, expressed surprise at the reaction to the IOA's decision. "I am surprised at the reaction of Minister of Sports Vijay Goel and the media attention which was given to this ceremonial recognition of my humble contribution to sports and the sacrifice I have made in 2013 by resigning from the post of President, although I was elected President in accordance with IOA constitution, Indian constitution and in a most transparent manner in an election conducted by three eminent judges." "Even my presence to witness the Rio Olympics has been questioned. I am personally aware of the conduct of the Minister of Sports at Rio Olympics where IOC had questioned the behavior of the Minister and his associates and threatened to withdraw his accreditation. I do not wish to dwell more on this subject as I do not want to embarrass the Minister as well as the Sports Movement in India. If necessary, I will brief the Hon'ble Prime Minister on this issue of Rio Olympics," he said. "I, once again, wish to thank the IOA for nominating me to the ceremonial position of Lifetime President and I have already informed the President IOA, through a separate letter, that if IOC is not favourably inclined to my taking over as Hon. Life President after the President has had an opportunity of discussing this matter personally with IOC, in accordance with the IOA resolution passed in the AGMs of Guwahati and Chennai, I will be pleased to sacrifice my position, once again, in the best interest of Indian sports, sportspersons, good governance, transparency and cleanliness in India sports."